This is a die-cut flange Sherwin-Williams Paints porcelain sign. This particular Sherwin-Williams Paints sign is very colorful. 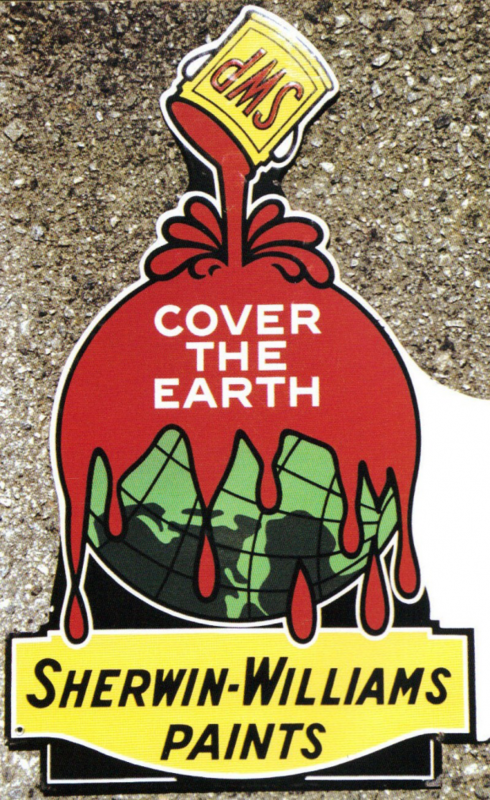 It reads, “Sherwin-Williams Paints Cover The Earth” and features a yellow can of Sherwin-Williams Paint covering a green globe with red paint.